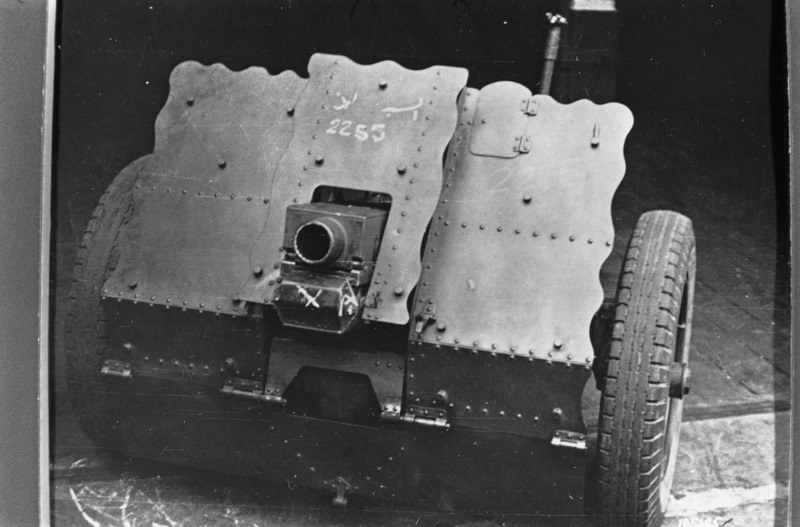 One of the pieces of light field artillery used in the largest numbers by the German Army in World War II was the 7.5cm leichte Infanteriegeschütz 18. The need for such a weapon was perceived in the first half of the 1920s, and the task of designing and developing such a gun was entrusted to Rheinmetall during 1927. Field trials of the new equipment proved very successful, and a major manufacturing programme was initiated so that the le IG 18 could be adopted as the standard artillery weapon of the support companies of infantry regiments and also of some mountain units. The le IG 18 featured an unusual loading system in which the barrel was wholly enclosed in a square slipper which pivoted upwards as the breech block remained fixed. Early examples of the le IG 18 had old-fashioned spoked wheels better suited to horse traction, but later equipments ran on pneumatically tyred wheels of the type required for higher-speed towing behind motor vehicles. A special variant, produced in 1939 to the extent of just six equipments, was the 7.5cm le IG 18F (Fallschirmjäger, or airborne forces), which was intended for paradropping for the support of airborne forces: this model had small wheels, lacked any shield and could be broken down into four 140kg (309lb) loads carried in containers. Another limited-production variant was the 7.5cm le GebIG 18. (leichte Gebirgsinfanteriegeschütz, or light mountain infantry gun) with a tubular split trail and spoked wheels for a weight of 440 kg (970 lb) in action.